CD.COM: Could you tells us more about "The General"? 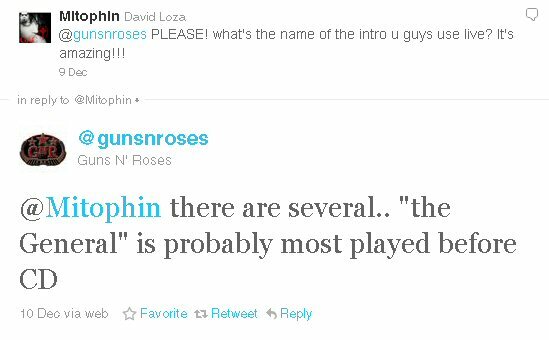 Axl Rose: You may have heard parts of it somewhere. 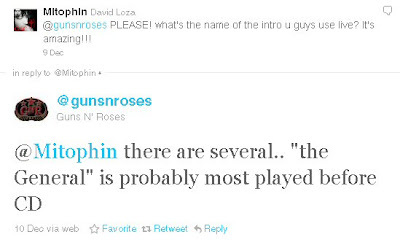 That's what I (still) love about nu Gn'R: subliminal messages and smthg to find out. Brilliant. Duff Says He Snorted His Body Weight In Cocaine!